I love yoga. I love the beach. 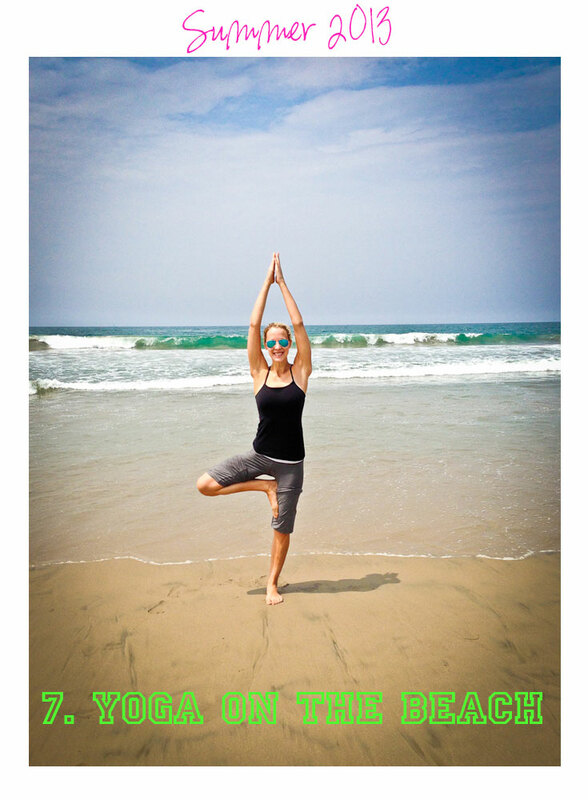 So I kind of knew that I would love beach yoga- and I did! I found “Brad’s beach yoga” on Yelp and the reviews were all really positive. It’s every Saturday and Sunday at 10:30 in Santa Monica at lifeguard station 29. My sister and I ventured to the Westside on Saturday to give it a shot. I was bummed that it was over cast but it was still warm out and the sun did eventually make an appearance. In retrospect it was nice to have some cloud coverage or it would have been too bright and hot to relax. About twenty people showed up for class. It was a great change to be on the wide open beach with the breeze on your face. Usually I’m practicing in a crowded studios where I am constantly worried about hitting someone in the face on the mat next to me. Having the ocean in front of you and the sound of the waves in front of you added a whole new element to the practice. I had never practiced yoga outdoors before and it just felt so right. At the end of class you walk down to the waters edge and do downward dog so that you are looking at the ocean through your legs as the water comes over your feet and hands. Such a neat and unique experience! The yoga practice overall was good. Brad is an enthusiastic and friendly guy who knows his stuff. It definitely wasn’t as challenging as some classes you will go to, but he does give you the option to do more advanced things if you are feeling it. Overall a really amazing and relaxing experience. At class he announced that he also does sunset yoga which I definitely want to try! Here are more details if you want to check it out. Two thumbs up.